'Paradox of thrift; is a concept that if individuals decide to increase their private saving rates, it can lead to a fall in general consumption and lower output. Therefore, although it might make sense for an individual to save more, a rapid rise in national private savings can harm economic activity and be damaging to the overall economy. In a recession, we often see this 'paradox of thrift'. Faced with prospect of recession and unemployment, people take the reasonable step to increase their personal saving and cut back on spending. However, this fall in consumer spending leads to a decrease in aggregate demand and therefore lower economic growth. In the great depression of the 1930s, GDP fell, unemployment rose and the UK experienced a long period of deflation. 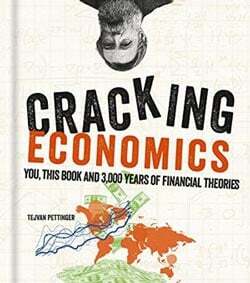 In response to this disastrous economic situation, mainstream economists were at a loss as how to respond. Such a lengthy period of disequilibrium didn’t sit well with Classical theory which expected markets to operate smoothly and efficiently. One policy the National government did approve was the cutting of unemployment benefits. The rationale was that in times of a depression the govt should set an example by reducing its debt. This example actually inspired members of the public to send in their savings in the hope that it would help the economy. By reducing benefits they further reduced consumer spending and AD. This made areas of high unemployment even more impoverished. When people saved rather than spent their money it just made the recession worse. J.M. Keynes argued that this 'paradox of thrift' was pushing the economy into a prolonged recession. He argued that in response to higher private saving, the government should borrow from the private sector and inject money into the economy. This government borrowing wouldn't cause crowding out because the private sector were not investing, but just saving. In the UK and US Keynes was largely ignored until after the war and as a consequence the UK economy experienced high levels of unemployment for the remainder of the decade. I do not agree that this is the paradox of thrift. To me, thrift is where state spending falls, and private sector spending rises to accomadate this fall? Please correct me if I am wrong. Here the thrift is when the private sector decide to save more - causing a fall in Aggregate Demand. Harry, this is indeed the paradox of thrift. The paradox lies in the fact that while saving (being thrifty) is undoubtedly beneficial for individuals - when a large group of individuals all act the same way, this however turns out to be detrimental to the economy as a whole and all individuals involved. And this is what is happening now. In The Netherlands, savings increased by €6 billion in 2012 while consumer spending fell. The fall in spending leads to a fall in overall demand. Families are delaying purchases and looking out for their own well-geing because of the recession but the aggregate effect is severe harm to the overall economy. i think paradox of thrift means saving of an individual ultimately decrease the saving. it is because of when an individual save his/her money then this money is hoarding and doesnot create any employment and investment which decreases the future earning of a person and ultimately saving itself. Can I ask a question and anybody is free to answer this... Does Keynes' Paradox of Thrift present difficulties for the neoclassical understanding of optimization?